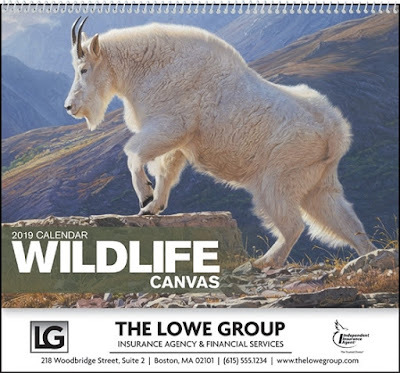 1-800-721-7725 Welcome to New England Calendar - offering a huge selection of Promotional Products and Calendars - Promotional Business Items - Corporate Tradeshow Branded Products - Promotional Gifts - Event Giveaways & More! We are your best source for imprinted promotional products at affordable prices. A family-owned company always offering personal service and high-quality products! We offer beautiful, quality promotional gear custom-branded just for you! 61-838 Wildlife Canvas Wall Calendar. 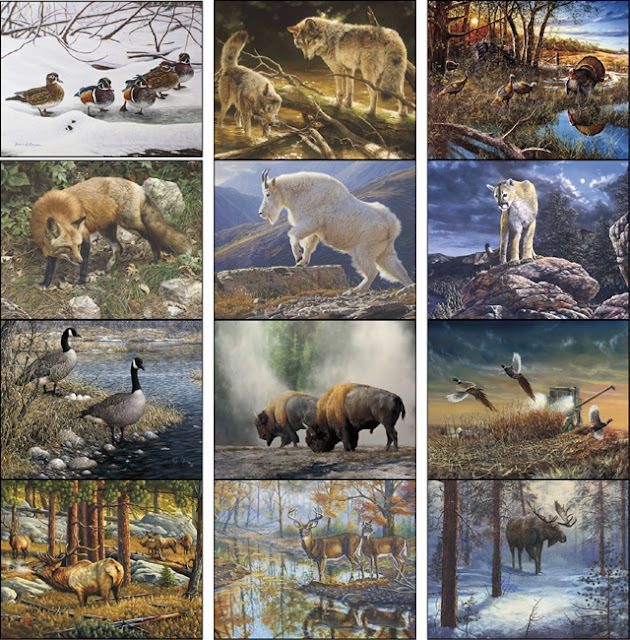 13 months of exceptional photographs of some of the most outstanding North American wildlife! Available with Stapled or with Spiral Binding for 8¢ extra. 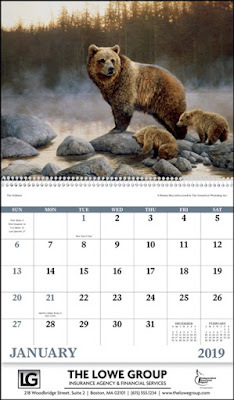 Size Open: 11" w x 19" h.
Size Folded: 11" w x 10" h.
Imprint Area: 9.5" w x 1.38" h.
Envelopes are available for 18¢ each (packed bulk) or 26¢ each (packed with calendars already inserted). Envelopes can be Imprinted (black ink only) for 9¢ per envelope with a $26.50 set-up. Priced as low as 97¢. 61-833 Monkey Mischief Wall Calendar.